While it looked like Nintendo wasn't planning any further Arms updates, it looks like the company can't seem to quit its elongated limbed fighting game. On Wednesday, Nintendo released the latest update for Arms and this one includes a new game mode. 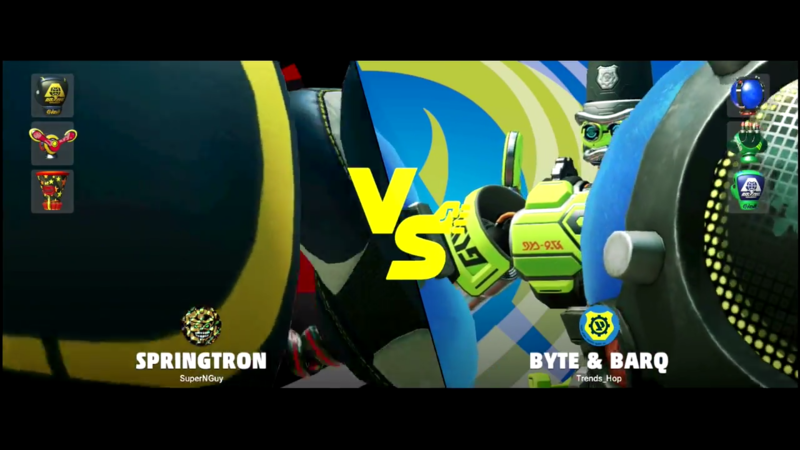 Those who enjoyed the limited-time Big Time ARMS mode will be happy to learn that this will now be a permanent fixture going forward in Versus mode. Local players can agree to enable Big Time ARMS prior to any battle during the Arms selection screen. When Big Time ARMS is enabled, fighters get comically big Arms (yes, even more comically big) that do much more damage than standard Arms, leading to quicker matches. Specs improved thanks to a certain girl genius! Movement during a super charge has been greatly increased. He's a little heavier now, but that's fine! Movement speed for normal jumps has decreased. Rush gauge now fills at a rate equal to other fighters during normal times. Also made it somewhat less difficult for the rush gauge to fill when blue or red. When jumping while on top of Barq, fixed an issue where a shockwave could be seen emanating from Byte as well. Fixed an issue where, under certain conditions, the switch on Barqs head would stay pushed in. Fixed an issue where, under certain conditions, extra ARMS would appear while firing ARMS. Fixed issue where self-destruct could occur during rush. Decreased time from drop until collection. Decreased time until automatic retraction after placement. The Arms 5.2 update is available now and can be downloaded via the Nintendo Switch Home menu. Nintendo seems like the kind of company that will have a hard time weaning themselves off of constant updates.